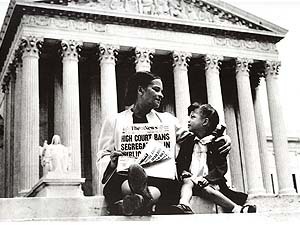 Desegregation was thought to be a wonderful process to encourage equal education for black and white children. However, when desegregation became the law of the land, African American educators were the big losers. They lost jobs, power and pay. Listen to the stories of those who experienced the effects of this new law and the unintended consequences that followed. Handed down on May 17, 1954, the US Supreme Court’s unanimous decision stated that “separate educational facilities are inherently unequal.” No one could have predicted the unintended consequences as a result of that ruling.